The Dallas City Council approved a five-year contract with Spectra Venue Management to manage the day-to-day client and facility operations of the Kay Bailey Hutchison Convention Center Dallas, effective February 13. Spectra will implement its best practices over an initial 45-day transition period, with the goal of reducing costs, increasing revenues, and achieving measurable improvements in the KBHCCD’s financial performance, customer service, and facility quality, according to Joey Zapata, assistant city manager. 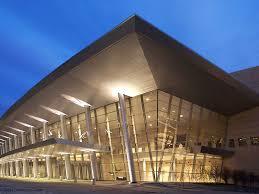 Spectra currently operates 174 facilities, including 45 convention centers and 56 arenas. Overall responsibility for finances, contract management, and capital improvements will remain under the leadership of Convention and Event Services Interim Director Rosa Fleming, who will lead creation of a convention center master plan designed to enhance client experience, promote public transportation, and activate the convention center campus by creating outdoor spaces and placemaking that promote walkability and connectivity.